For far too long, accountants have suffered being called beancounters. And I count myself as one. We are the grey men, the ones who can't find anyone to talk to at a cocktail party. But we have always wanted to be lion tamers. Spiderman and Superman are our heroes. Apparently weak and harmless, we want to transform ourselves into superbeings that save the world. Oh, that figure hugging suit and those magical powers. Just like a ride in a theme park. OK, what's this all about? There is a lot of discussion right now about whether accountants can and do add value to a business. The simple answer is: Yes. Because, if nothing else, we can cut costs and that increases profit. But the discussion is more about innovation and improvement, not cutbacks. Can accountants be seen as part of the senior management team that discusses strategy, manages risk and finds new ways of doing things? In many businesses, the accountant is seen as a backroom necessity, who helps transparency and can translate opportunities into figures, but does not create. A numbers man. This view is more prevalent in Singapore than other places I know. As an auditor in the UK and in Turkey, I was treated with respect, my suggestions taken seriously. Then I came to Singapore. Most of the clients treated the audit as a necessary evil and we were to be sent home as soon as possible. Just a cost with no value. The same went for the accounts' department at the client's place. Yes, things have improved, but if we have to even ask the question - can accountants add value? - there is still a problem. 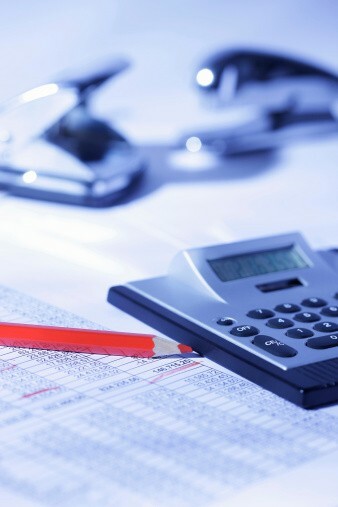 Accountants in industry have a very different perspective from accountants in the profession. They are experts on what value means in their own company. They have seen what works and what does not, right across all operations and all territories. Therefore they have the experience to add value, if they want to. Many modern companies have CEOs with an accounting background because of the breadth of knowledge they get from simply doing the accounts and managing finances. Just because a person is an accountant does not mean he lacks any innate ability to achieve and to create. So, we turn to the profession of accountancy. This is a bit of a misnomer, because it includes not only accounting and audit but also a whole gamut of advisory work. You cannot be a successful advisor unless you demonstrate that your advice adds value. Quite simply, if you do not do that, your clients tell you to get lost; don't even think about a fee. If you are an auditor, can you add value? You certainly can, if you get out of your narrow world and apply your brain. Some people talk about thinking "outside the box" (ugh - consultant speak - no value); for an auditor it is thinking "outside your laptop". Individual auditors are exposed to different clients, different industries and different ways of doing things. Using their cumulative experience, they all have the ability to recommend new ways of doing things (innovation = value). If they do it often enough, clients will respect them and value their advice. As a whole accounting firm, adding value should be the only reason for a client to pay you money. The biggest firms have global operations and global experience. If they cannot advise you on anything financial to do with your industry, which includes tax of course, then change them. The best accountants have your interests at heart and demonstrate that in everything they do. The only real reason to worry is if there is a possible conflict of interest. We all remember Enron, the company grew from nothing to be seventh largest company in the US, employing 21,000 people in 40 countries. It had claimed profits of more than US$100 billion in 2000. But the firm lied about its profits and did crooked deals, including concealing debts so they didn't show up in the accounts. It collapsed the following year. Its accountant, Arthur Andersen, was forced to dissolve. In June 2002, the 89-year-old firm was convicted of obstructing justice by shredding tons of documents and destroying e-mails related to its client, Enron. The audit was compromised because of a desire to give value through advisory work. The horrors that followed (eg. Sarbanes Oxley) cemented some people's view that accountants are just cost centres. We are not. Accountants have just the same ability to create value as anybody else. Indeed, with their breadth of knowledge of operations and benchmarks with other companies, they may even be better placed. The key to their success is getting off their bottom(line)s and using their knowledge in a team with other people. Talking leads to creation, leads to innovation, leads to value. Most people just associate me with the Incredible Hulk, by the way. The writer, a Price Waterhouse Singapore partner for 18 years, is a business communications consultant in the UK who spends several months a year in Singapore.